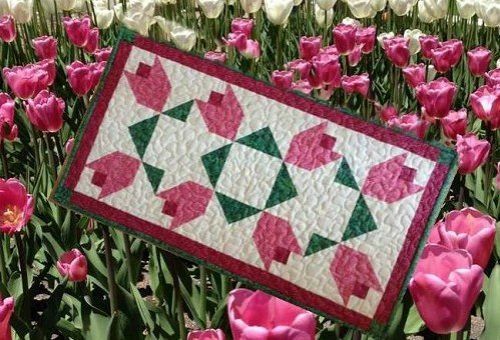 The tulips are in full bloom this spring and it’s time to bring some of those beautiful flowers inside with this precious table runner. Just imagine a vase of tulips centered on this table topper as it sits on your table. Finished Table Topper is 14 1/2″ x 26 1/2″.